Transform Manual Physical Therapy, PLLC creates an environment to simply take better care of one another in life. Your health impacts every part of you, so our commitment is to guide every individual’s well-being with a holistic approach. Directing this journey requires a unique skill set: one in which an understanding of the human body, its systems and their relationships combined with the curiosity to find solutions that suit each client’s needs. Regarded as one of the most respected and independently owned manual physical therapy practices in the Scottsdale and Phoenix areas, we provide the state-of-the-art care you need to regain your health. 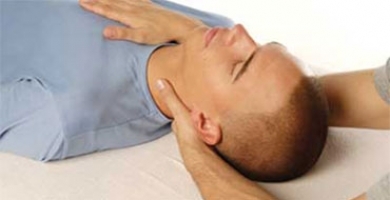 Whether you are injured, have unresolved pain issues or need post-operative rehabilitation…. Transform Manual Physical Therapy can restore function, alleviate pain and get you back to your daily activities or sport. Our practice offers the best quality care and client experience to help you with your physical therapy, health and wellness needs. Your treatments are developed and conducted by a certified and experienced physical therapist in a comfortable treatment environment. We offer convenient hours and an easy to find office. Find out how we can help you by browsing our website, calling us at (602) 616-5899 or scheduling an appointment. Joint pain? Your organs may be 'sticky'! Transform Manual Physical Therapy clinics are professional, comfortable and personable. Our hands on approach helps create balance and harmony in the body and across it’s many systems. Utilizing specific techniques which focus on treating the underlying CAUSE rather than the symptom, we help you reach both short term and long term health. The Power of Touch – A difference you can feel! Manual therapists utilize specific techniques to impact the health and mobility of as well as relationship between tissues to normalize function. Gentle, external techniques that decrease inflammation and edema, improve circulation and reduce excessive pressures or tensions. Addresses the physiological and mechanical factors that contribute to pain, both acute and chronic. Application across most body systems. Optimal tissue mobility and proper function promote a healthy body as well as enhancing energy and mental clarity! Joint mobilization and neuromusclar re-education are utilized to increase range of motion and joint stability. When we have health, we are present and capable of taking better care ourselves and of one another in life! Send us your questions and we will be happy to provide a free initial phone consultation.